Stanford University biology professor Deborah Gordon loves ants. She’s got pictures of them on her walls, sculptures of them on her desk, and about 8 000 live ants running around her lab. She’s been studying them for more than 20 years. 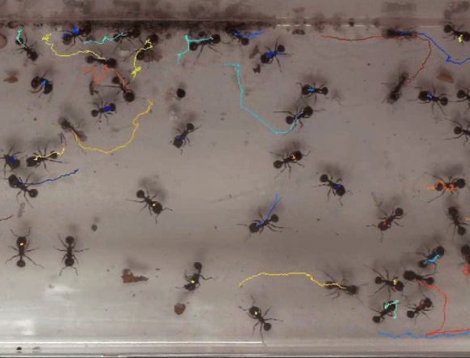 Recently, when she came to understand how colonies of harvester ants regulate foraging—that is, how they decide how fast to send out ant to gather food—she thought that the ant algorithm could apply to other types of networks.